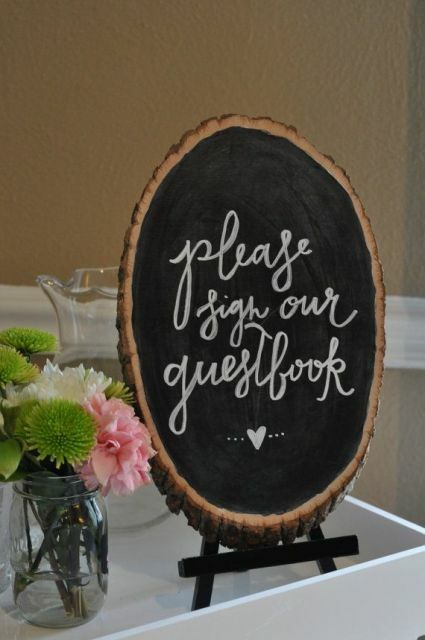 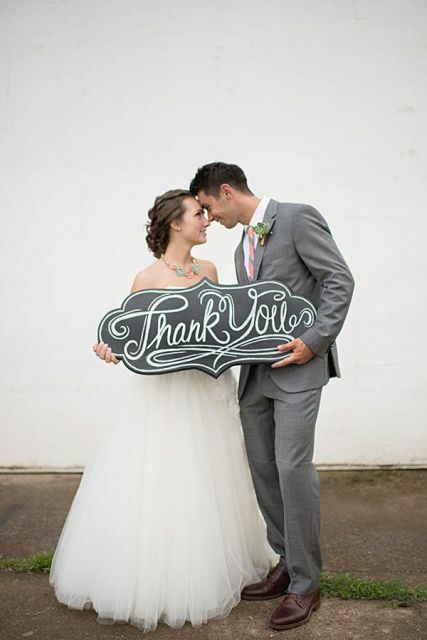 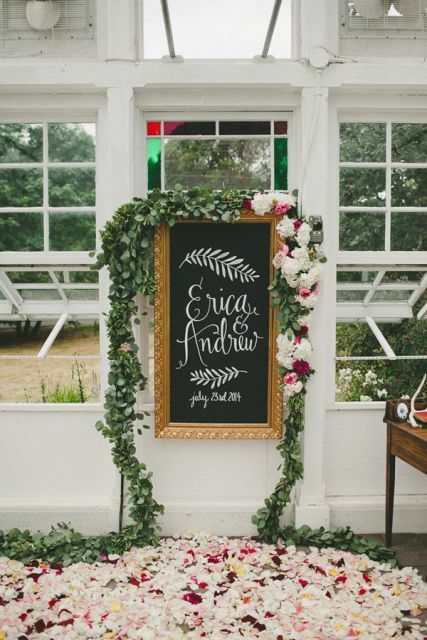 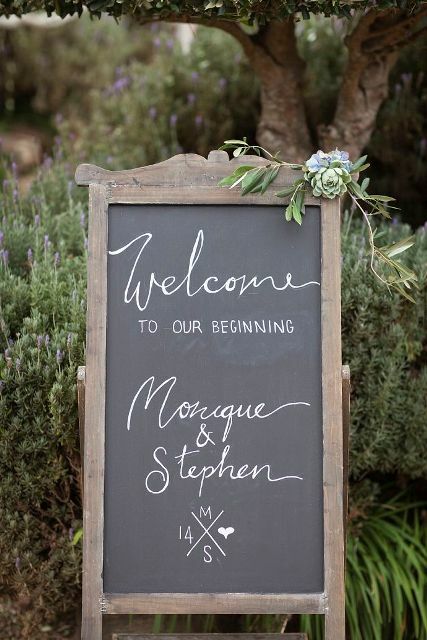 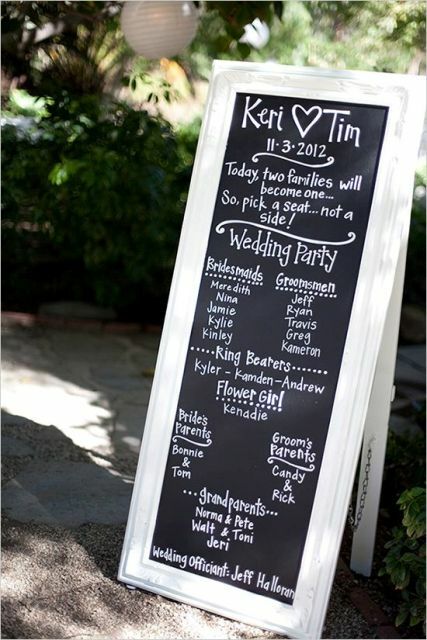 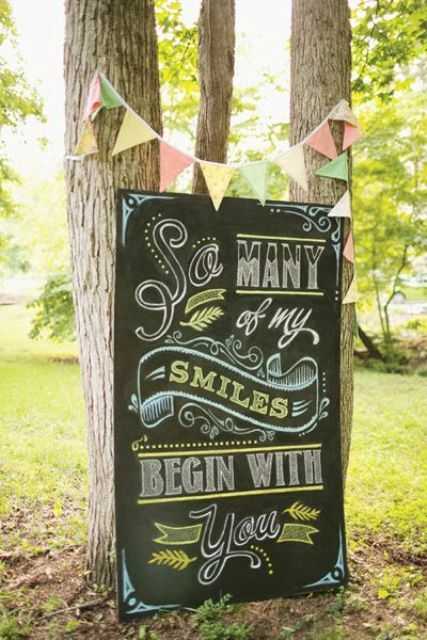 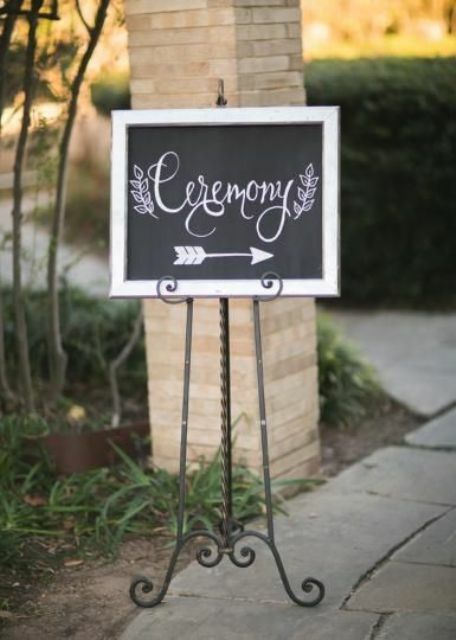 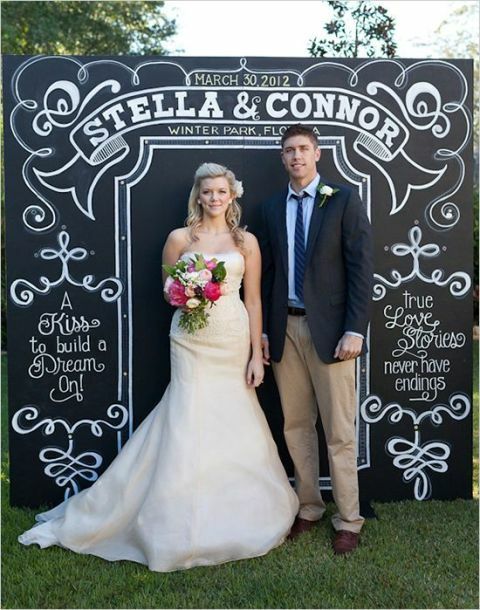 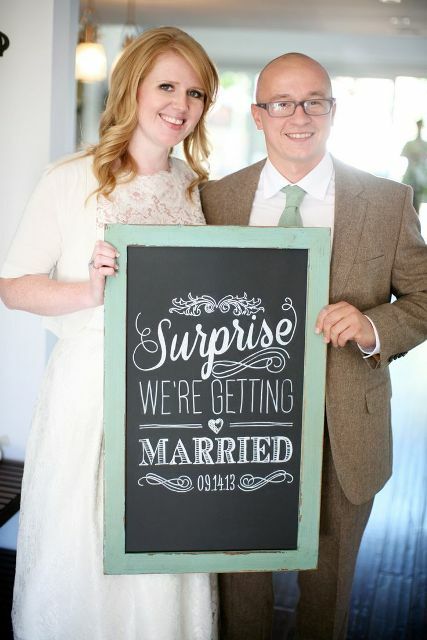 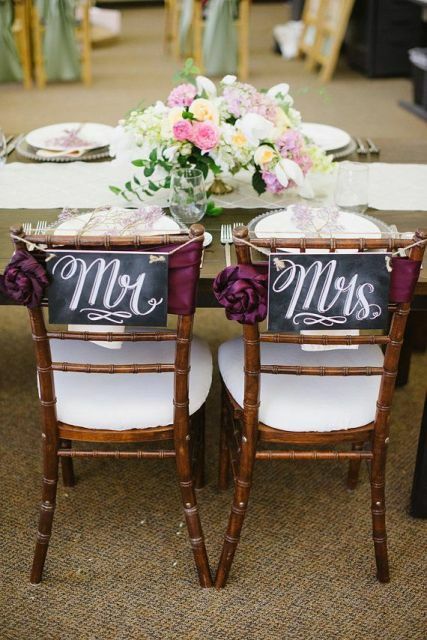 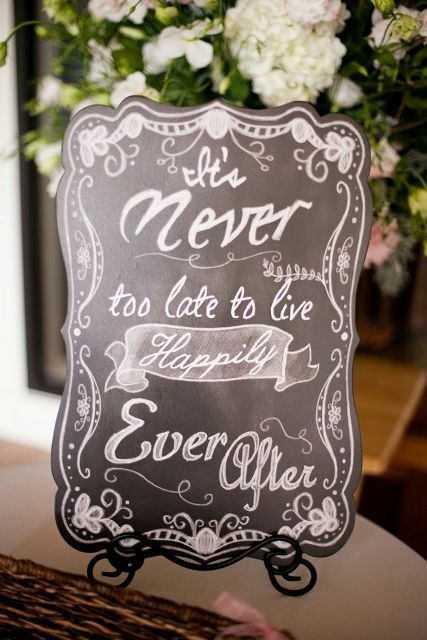 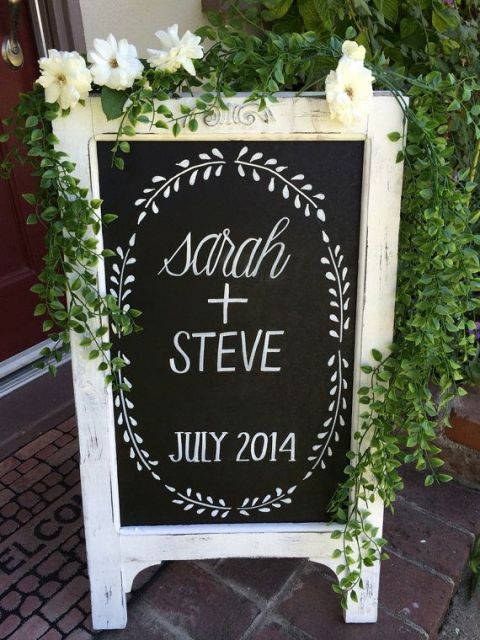 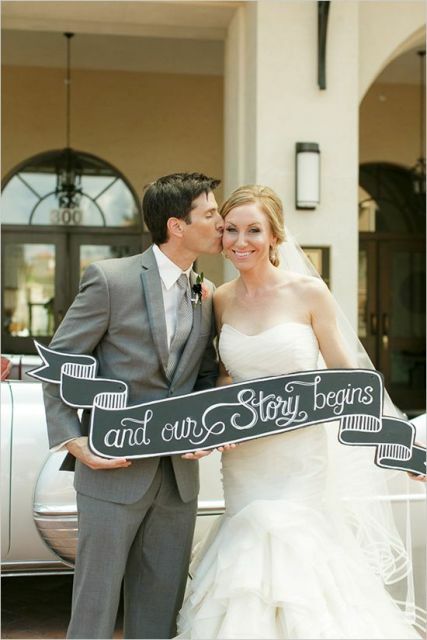 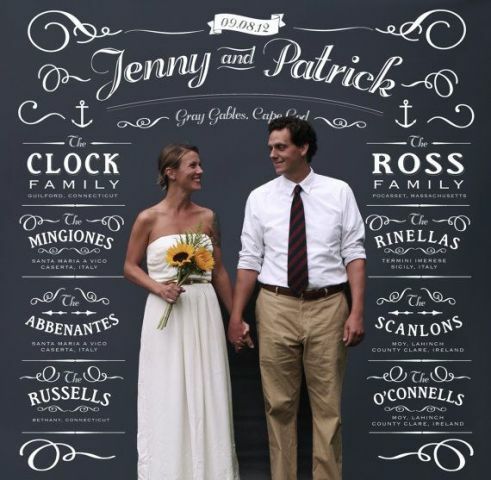 A chalkboard is a décor element that will make your wedding stylish and charming! 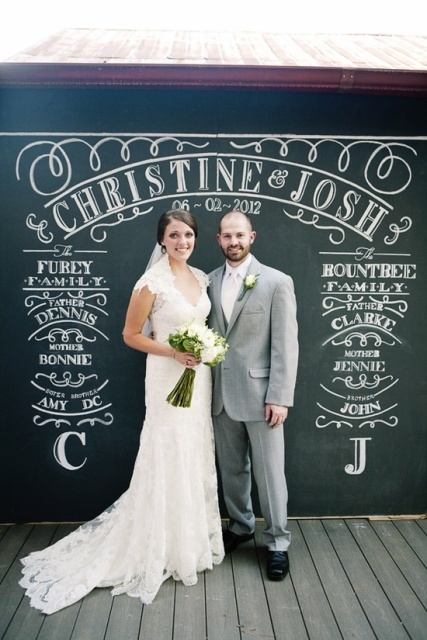 No matter what you’ll write on the chalkboard, your menu or just your names, it’ll always look very cool. 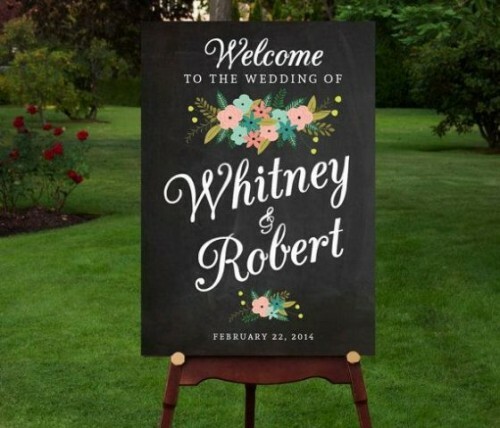 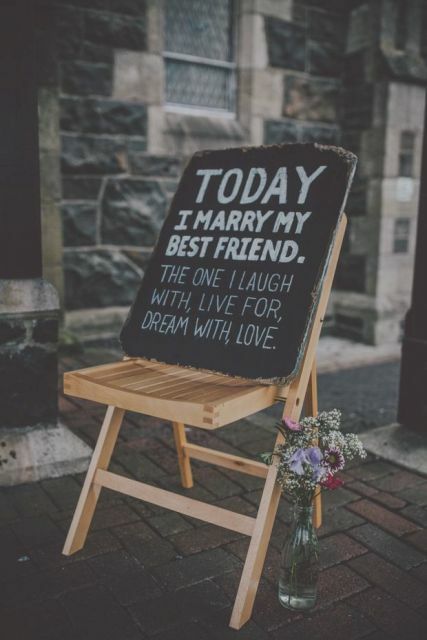 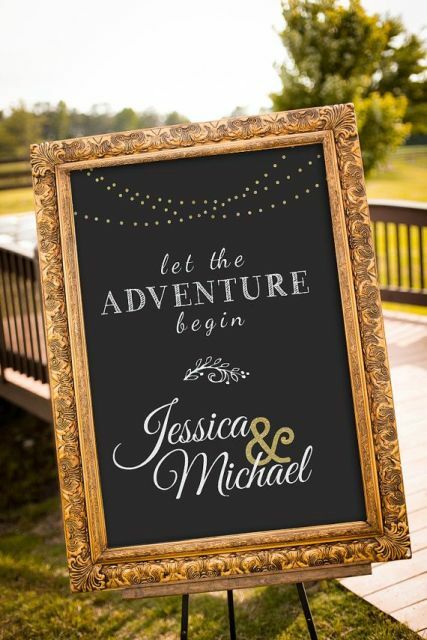 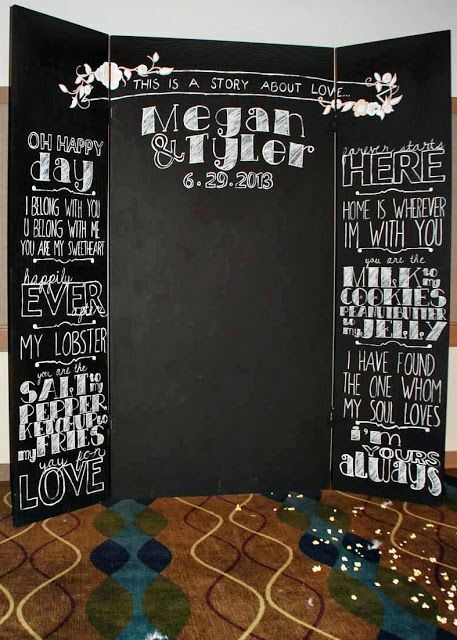 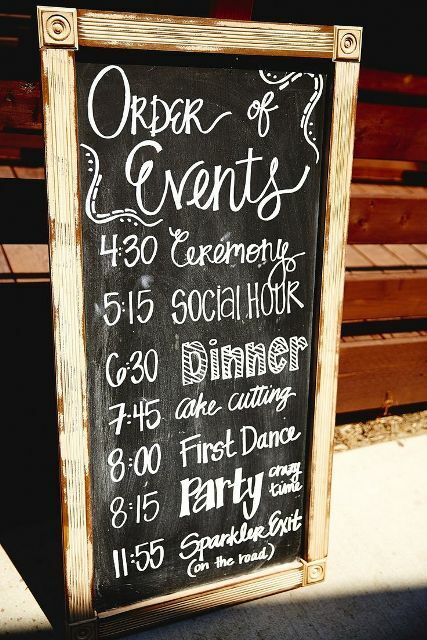 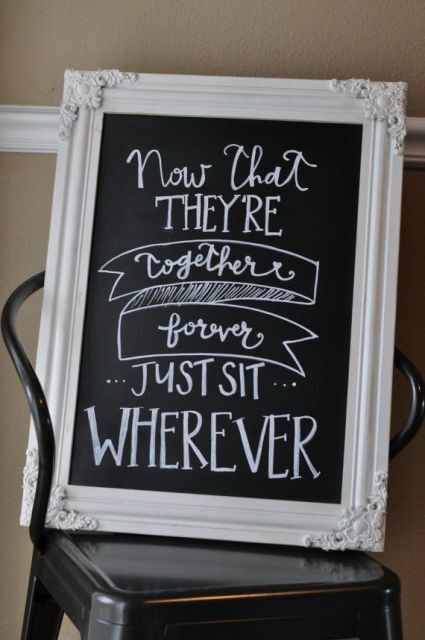 You can make a chalkboard for your guests and they can write their wishes for your couple on it, or you can chalk the whole seating chart on it. 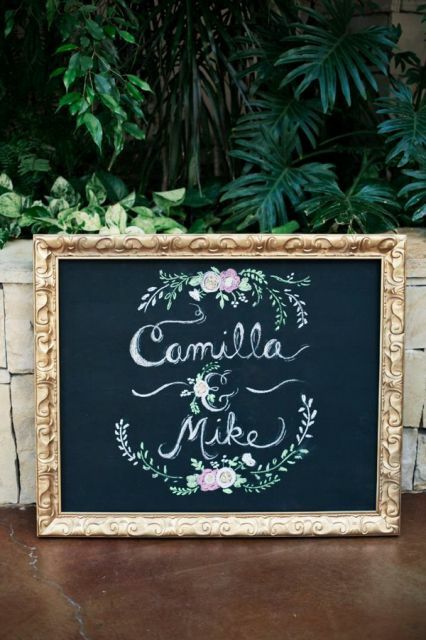 Decorate your chalkboard with flowers, ribbons or frames to make it look more festive. 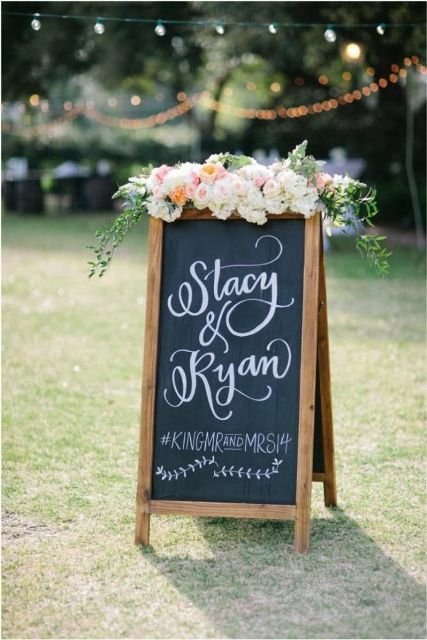 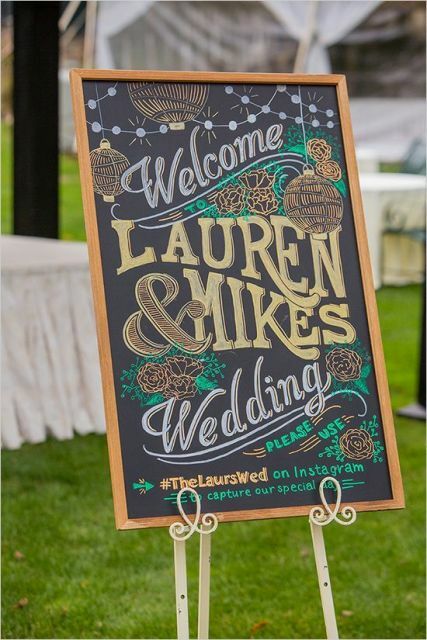 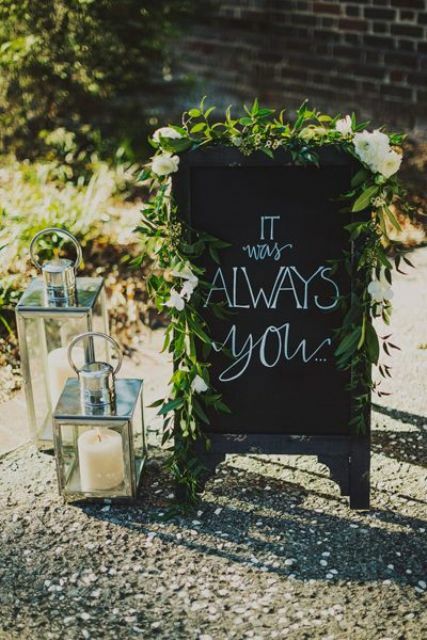 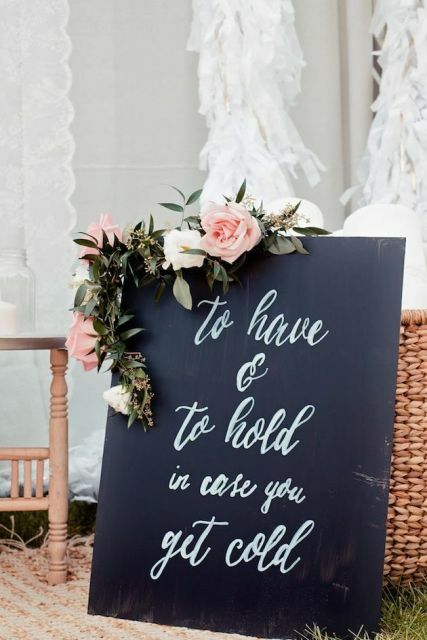 A chalkboard will be perfect for various wedding themes and for all seasons, so pay your attention to the pics below and stock up with ideas!